As busy as things already were a couple of weeks ago, I found myself spending much of a week with a family from our church. The Morgans are one of my favorite families on the planet. =) Not that they are super-human, but I have seen the love of Christ lived out in their lives so clearly. When I heard that Mrs. Morgan had fallen on their stairs and pulled a muscle pretty bad, I was sad but at the same time excited that maybe I could go spend some time with their family. And sure enough! 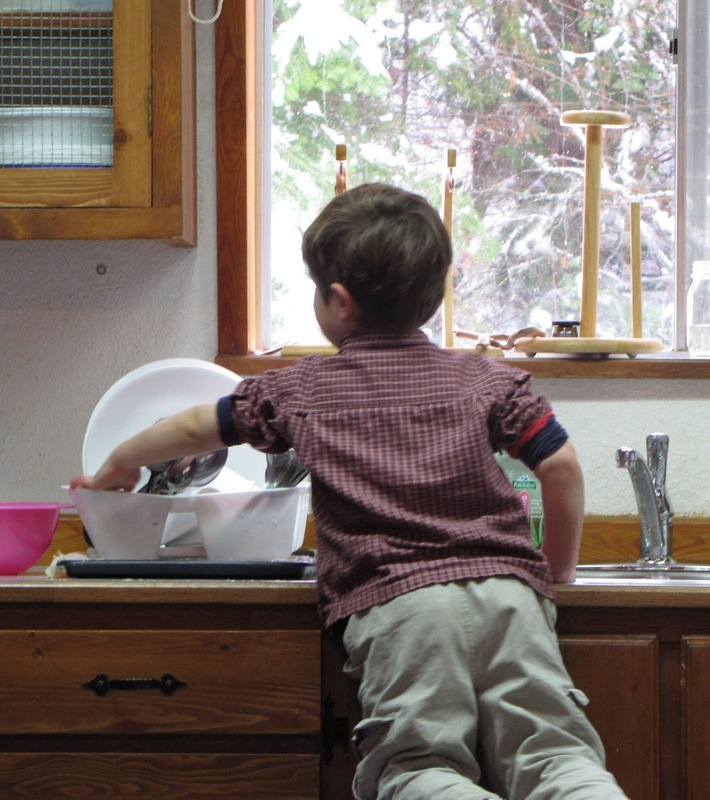 I ended up at their house on Sunday afternoon and was there on-and-off the rest of the week learning to do many new things: playing snow plows and bulldozers, changing diapers, giving a one-year-old a bath, cook in someone else's kitchen, ect. Having a break from school was a minor blessing compared to being able to see and experience (not just hear about) true Godly parenting (i.e. making the conversion experience real for children). I did find it challenging to spend so many hours (it probably wasn't as many as it seemed) doing things with a four-year-old that weren't as productive as the things that I usually do (or so I thought). Things don't exactly happen as fast when you have a four-year-old friend helping you with the dishes. But the Lord had to help me to see the importance and value, not of what we were doing, but of spending time with him. Then there was getting to watch a one-year-old learn to walk which was a lot of fun. Their are so many lessons that can be learned from it.Children are a gift from God, and I pray that I may set a safe example for those around me. God bless! PS. You would know me as Vanessa Ford's mom. That is so neat!! I didn't know that you even knew her! Tell you girls "Hi" for me!